The History of Chinese medicine was intimately connected with the Daoist and Buddhist traditions of China. Chinese Medicine originated from the ancient shamanic practices of ancient China and continued to develop in respect for those principles. The practices of the Wu Yi (shaman doctors) involved highly esoteric arts such as exorcism, healing, dream interpretation and spirit travel. Throughout the centuries these practices evolved into the highly sophisticated and documented system that remains to this day. The quintessential text on the subject of Chinese medicine was first published in the Warring states period (475-221 BCE) detailing the conversations between the yellow emperor Huang Di and his advisors at the time of his rule (allegedly from 2696-2598 BCE). The classic details methods of acupuncture, herbs, moxibustion, massage techniques and Dao Yin exercises (an early form of Qi Gong). 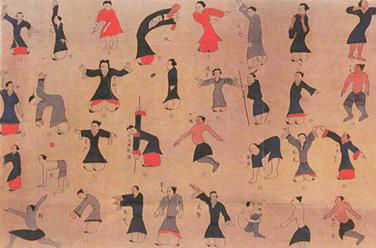 In the Qin dynasty (206-220 AD) depictions of figures practicing Dao Yin exercises were discovered which date to before the 3rd century BCE. In the Zhou dynasty (1028-221 BCE) The I Ching (Classic of Change) was publically revealed although the text may have originated earlier. The text is of fundamental importance to the underlying theories of Chinese medicine and documents all the varying movements of Yin and Yang accounting for all possible combinations of phenomena and their changes throughout the universe. 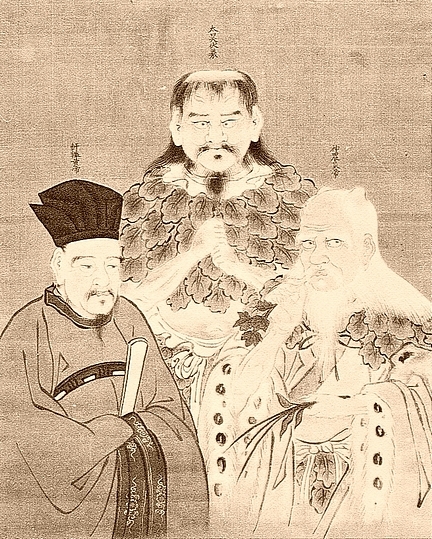 At this time famous Daoists such as Hua Tuo and, Zhang Zhongjing contributed significantly to the development of medicine as did Ge Hong in the later Jin dynasty (265-420 AD). Arguably the most famous Daoist figure to have influence the development and practice of medicine in China was Sun Si Mao of the Tang dynasty (581-907 AD) who wrote the first guide line of ethics for a Chinese Physician. In 1966-76, the time of the Cultural Revolution, ancient art forms such as martial arts and Qi Gong were forbidden by the government. However Chinese medicine was re-invented and re-introduced in order to tackle the serious health epidemic at this time. It was for this reason Chinese medicine was re-though and re-organised into a system called Traditional Chinese Medicine or TCM. However although the name suggests this medicine is akin to the Chinese medicine as documented in the Yellow Emperors Classic it is in reality and modern creation and bears little similarity to the techniques and theories discussed in the classics.